"What the Zhang Boys Know has a dozen chapters, each one a vivid short story in itself. Garstang makes the whole greater than the sum of its parts. The lives of the inhabitants of a condominium in Washington, D.C.'s Chinatown are told separately and as part of a web of entanglements. The entrances and exits are handled with the deftness of a French comedy, but the empathy of the author brings all the characters achingly alive. 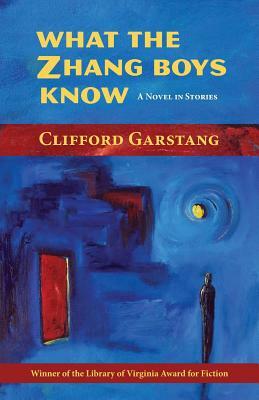 What the Zhang Boys Know is a wonderful and haunting book." - John Casey, author of Compass Rose and Spartina, winner of the National Book Award.